Hey guys, newbie checking in! Hope to see some of you out on the trails or on a group ride sometime! 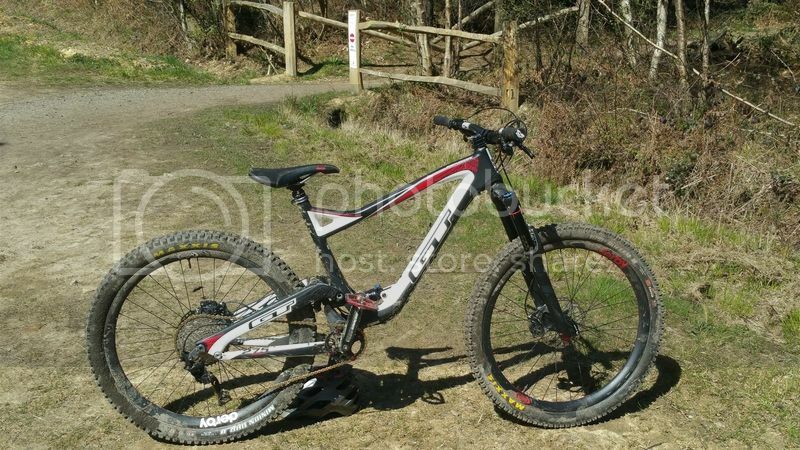 Unfortunately your be waiting a long time to meet anyone on the trails,as very few rides are posted on here.It would be better for you if you go to either kent-trails or Gravesend Grunts,both on facebook.Nice bike. Welcome Pablo & that mean ride mate! Does anyone post rides on the FB group, or has that gone flat? Thanks for the welcome and info, Will have a look on Facebook. If you ever want a ride round Thanet footpaths & Bridleways* I'm your man. Pablo, look at joining London calling on facebook, they ride the Surrey hills a lot and there is better trails than anywhere else in the south east. You could join a Nirvana cycles shop ride too, Do some research and be careful if you do however. Thanks for the info, will check out london calling too. I have been Surrey hills a few times and love it. Usually start in Peaslake and make my way over to Pitch Hill, but would like to explore the Winterfold and Hurtwood areas more, Especially Evian, but online reports seem to mention it being closed so not too sure what to expect. Pablogt Wrote: Thanks for the info, will check out london calling too. I have been Surrey hills a few times and love it. Usually start in Peaslake and make my way over to Pitch Hill, but would like to explore the Winterfold and Hurtwood areas more, Especially Evian, but online reports seem to mention it being closed so not too sure what to expect. Been a couple of weeks since I was at Surrey but as far as I know mile stone hops and Evian are still a no go. But secret Santa and out other way northern monkey and bronson are all going well still. Redlands seems to be have more done on it lately to. Be good to get some sketchy rides going again, until then go for Kent trails, super nice group with mixed ability of riders that are fun to get out riding with. mean to catchup with them more myself. If technical internet difficulties can be overcome I will have a ride out with them at some point!